Well I should have posted this last week. But like most artist procrastination set in. So here is the next stage in my process. The Pencils, At this point I go over my rough idea in red or blue no photo blue pencil some time in 4h-9h lead. This time it was red lead. Once the composition is done and I am satisfied which I am coming to understand is hardly ever, i go back over it with a mechanical lead and tightin up my lines. I don't do a lot of spot blacks, but I do use varying line weights to show depth. After the line are finished, the pencils are then scanned and the clean up further in photoshop. 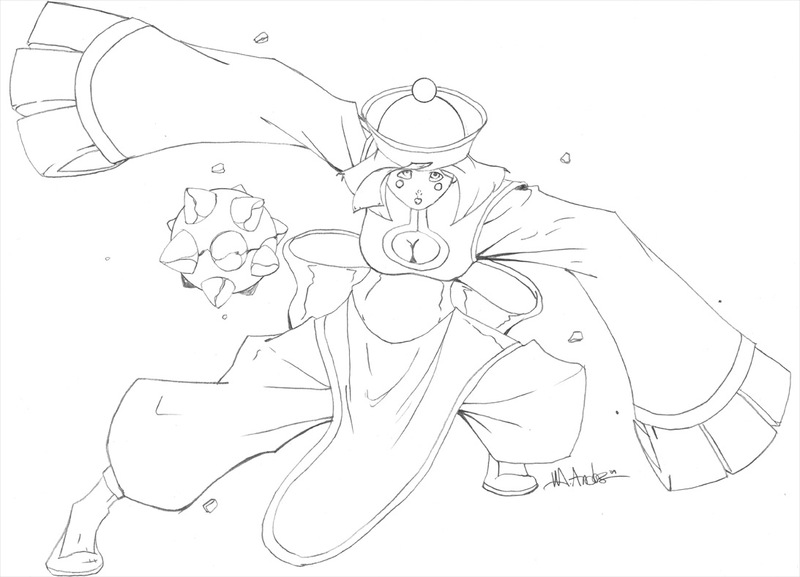 so here are the finished pencils. So here are the other stage in my process. Well what this time around I am show you all the next stage. 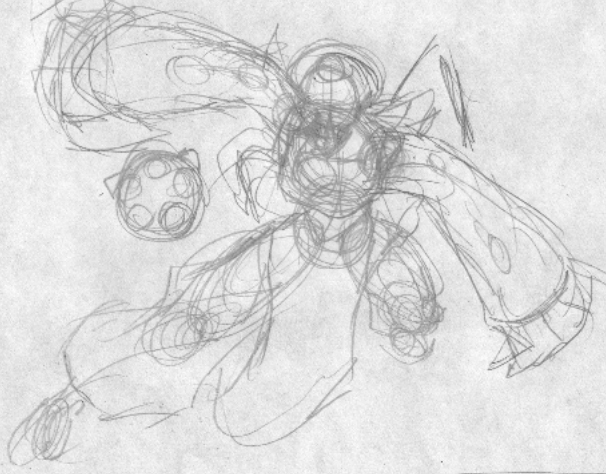 This is where I would create a full size rough version of the idea. I normally do this in non-repro blue or red pencil or a any pencil (3h to 9h) lying around. At this stage I try to go in as lose as possible because I never know if I cam going to make any change on the fly. I go ahead and add all of the detail in at this stage as well. I also add the representations of line weight along with the spot blacks. Which I hardly every do and or shadows which again I hardly ever do. 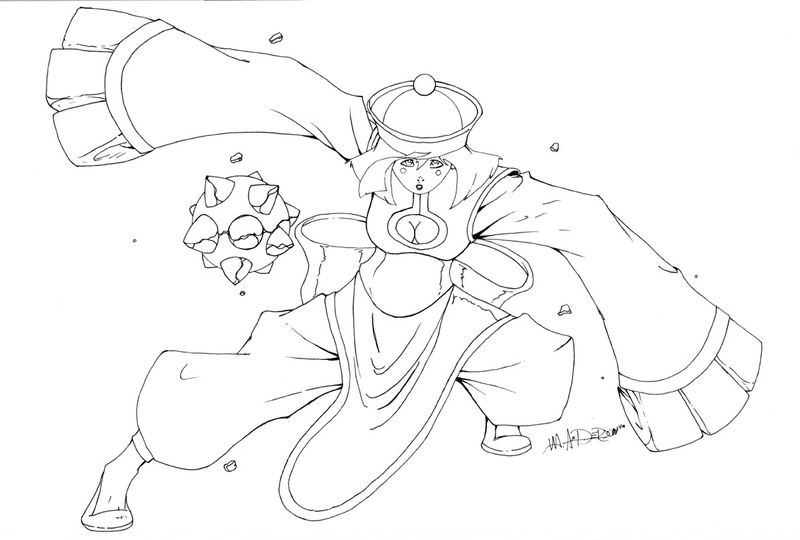 At this point i make the decision weather I am going to color the piece as well. It all depends on the desired out. Back with stage 3 which will be the clean pencils and will probably end up on my website. Like Most Illustrator/ Comic-Book Artist and even some Concept artist of the day I start out with a thumb nail sketch of idea or piece. I generally do this for just about every thing I create. 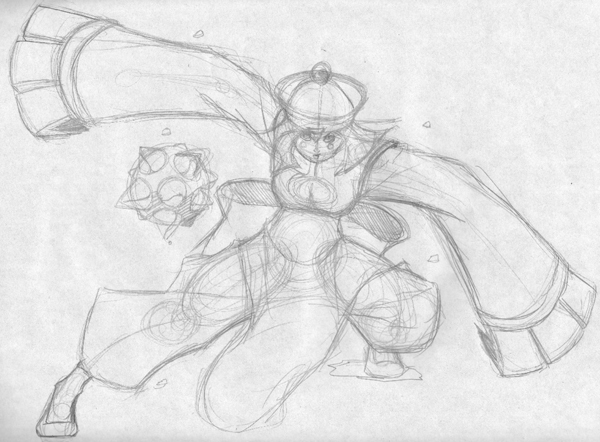 So this is the Initial Rough sketch of my (failed) entry into Darkstalkers Tribute artbook. I will be back with next stage if development.